Pisilian is a tribe in Taitung, it faces the Pacific Ocean on one side and lay under a mountain on the other. Amis people have been living for hundreds of years, they interact with the environment respectfully and and have evolved Traditional Ecological Knowledge. 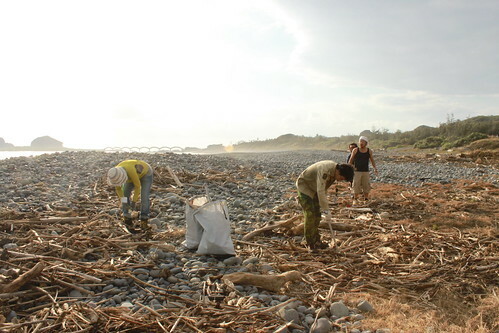 However, local people noticed that the environment is being threatened by marine debris, over fishing, and inappropriate construction by unscrupulous private investors. Our volunteers joined us for International Coastal Cleanup and Reef Check in the past few years, these worldwide projects engaged hundreds of thousands of volunteers and they have been great help for conservation. This year, you have an additional mission! 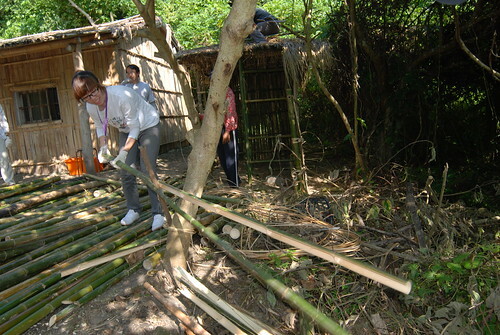 We will assist to build a water-free composting toilet using local natural resources. In the future, more volunteers will come to our Mamu* Garden to learn sustainable farming and they can use our eco-friendly toilet! Come and join us at Pisilian Working Holiday this summer! *Mamu: Amis language, means Grandma. 2013/8/24 Sat. ~ 2013/8/26 Mon. Team Reef Check：adult(age 18 or older), possess advanced diving certificate. 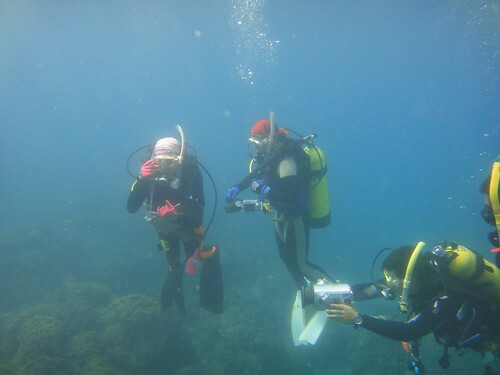 If participants only possess open water diving certificate, they must have scuba dived more than 50 tanks. Volunteers will be staying at Mamu's place or an old Amis home hostel. Let us know if you have a prefernence although there's no guarantee. 12:30 Meeting up at Yu-li train station or 13:30 at Baisolian Bus Station.